Have you dreamed to say a vow and share your happiness celebrating your wedding day in a beautiful and romantic place, surrounded by your friends and family? Where they aren't just the witnesses but you can spend your time with them abroad as well. The answer to those dreams is a Destination wedding. So, what is a destination wedding? A destination wedding is a wedding party that is planned and organized in a place where you aren't from, be it in the country or overseas. In Indonesia, the most well-known place to have a destination wedding is in Bali. Because of the incomparable natural beauty and the vibrant cultures, Bali has been known for so long for couples to tie the knot. Besides that, the facilities, as well as the hospitality in Bali, is a top-notch known to have been really facilitating a lot of couples to plan their weddings in Bali, whether the couple is from other big cities in Indonesia or overseas. So, when the bride & groom-to-be decided to have a destination wedding, what can they do to start planning the big day? First of all, most brides & grooms feel that destination wedding is something very special. They can have an unforgettable wedding. The groom and the bride will be surrounded by the people they love. Can you imagine having a wedding in a location with a mesmerizing view, and it is so intimate that every single wedding moment is unforgettable. Planning a wedding is already challenging, what about planning a destination wedding? it definitely adds more challenges. But if the wedding is planned thoroughly, a destination wedding will become an experience that will be remembered forever, by the wedding couple as well as the guests. The first thing to start planning the destination wedding is to know how much you (the bride & groom) both want this, ask for your family opinions, your parent's opinion is really matters, will they be open for this destination wedding ideas? After having the support from your family to have a destination wedding, let's continue with the next step. We know it's not easy to coordinate various vendors including venue, planner, entertainment, catering, make-up-artist, officiant, and many more. Then, the bride and groom-to-be won't always be there as well to planning the wedding, by that main reason, a lot of couples who plan a destination wedding in entrust a Wedding planner to help them plan their wedding. The planning starts with searching for the right and desired venue, from then on, every single thing will be easier to plan. 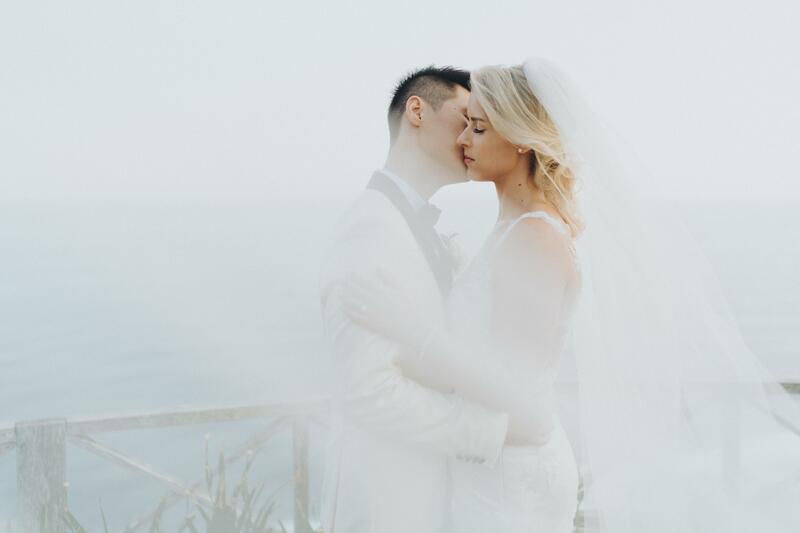 If you decide to get married in Bali, you can choose various places such as chapels, hotels, resorts, or even private villas as your wedding venue. Bali offers a lot of beautiful places to get married. This step of planning can be started by visiting different wedding locations in Bali. Who Are Invited and Who's Going to Take Care of The Cost? 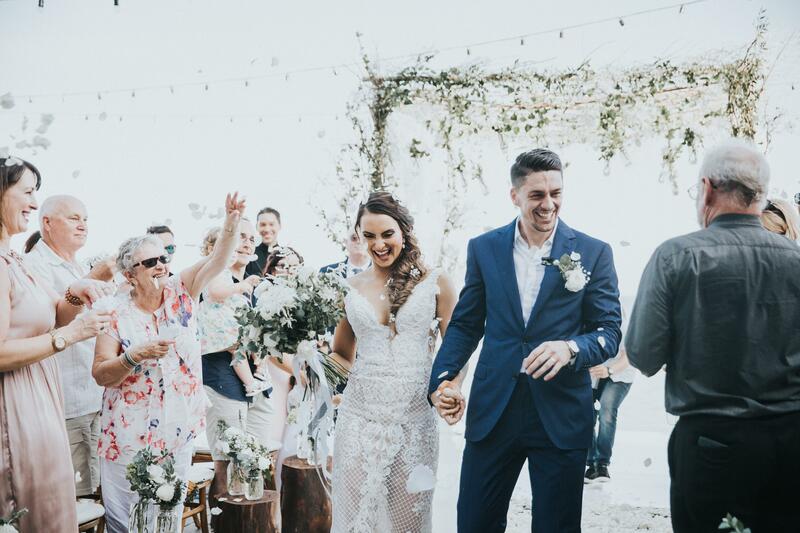 To get an intimate atmosphere, usually, a destination wedding is attended by a small group of people to celebrate happiness with the bride and groom. That's why the number of guests under 100 is suitable. Family, relatives and close friends are usually invited, with the ratio 60% of them are friends and the rest are a close family. So when the wedding couple has finally decided to have a destination wedding and who's invited, the next question is, who's going to take care of the costs? Of course, when the wedding couple has a destination wedding, every single guest who's invited has to fly to another country/continent. Regarding the question "who's going to take care of the costs?" it depends on the wedding couple. The bride & groom can invite the guests without providing anything or they can provide the flight as well as the accommodations during the wedding, and of course, not all couple can cover and provide all the things needed by the guests who are attending the wedding. But there's a solution which couples will generally do by providing accommodations and consumptions for the guests, while they cover the flights by themselves. The number on guests and invitations can be a challenge. Don't forget to RSVP! It's not just a wedding party, it can also be holiday moment!